Motherboard has an article on "Segmented Ultralight Morphing Rotors" - enormous wind turbines being proposed that would be capable of generating 25 times the power of a contemporary conventional wind turbine - The World's Largest Wind Turbines Will Be Taller Than the Empire State Building. 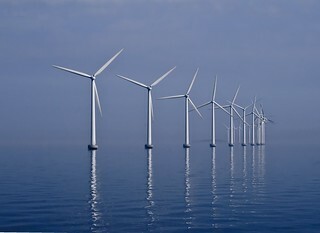 The article claims each blade would span over 200 metres (far surpassing the largest blades currently in use - around 90 metres). The design would require towers to be half a kilometre tall.